With the advance of technology and our growing dependence on internet in our daily lives, there emerges a urgent need to monitor and select the things to keep us safe in the treacherous water. Kids are even more vulnerable to digital influence. Studies have proved that kids use social media on a larger scale than others. Facebook is at the top of these websites. checked in places, and alerts. 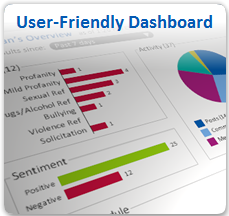 The site also automatically analyzes and identifies possible bullying, drug use, solicitation, and profanity. 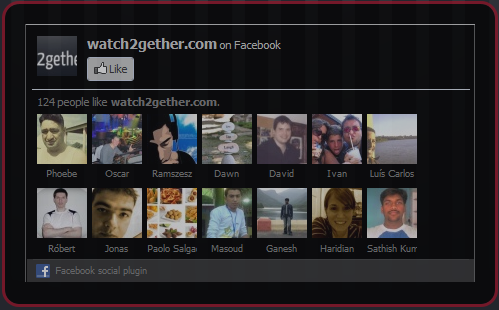 Watch2gether is a cool web 2 application. It ,as its name implies , allows its users to watch Youtube videos simultaneously. You can now share and enjoy youtube videos with your colleagues in real time. I am including it here because educators can use it with their students. They can for instance create groups of students and select an educational video to watch together in preparation for a general open discussion in the classroom. How can i get started using Watch2gether ? It is very easy. Just head over to Watch2gether main page and pick up a nickname. A virtual room will be created together with its public URL that you can share with your friends. Once they visit the URL they will need to provide their own nicknames before starting to watch the same video in the room. The right pane of the room allows you to chat with your friends while the center pane is where the video is played. You play new YouTube videos by providing their URLs. Bundlr is a cool web tool. It allows its users to curate, clip, aggregate, and share web content easily and instantly. Now you can create your own network where you can broadcast specific information and URLs about a certain topic. With Bundlr you can collect content from different web pages and organize it into bundles. You can either be the creator of your bundles and do the work by yourself or you add other Bundlr users to collaborate with you in adding sites to your bundls. Bundr can be a great tool for educators. They can use it to gather research material for a project or presentation. They can also share whatever they have prepared with their students or colleagues. i do recommend it for teachers and students. How can i get started using Bundlr? It is very easy to use. Just head over to Bundlr main page and sign up for a free account or sign in using Twitter or Facebook. Once logged in, you can then create your own bundl and name it. Grab the bookmarklet and put it on your browser, this way you can instantly attach web pages to your bundles. When you are done use a public URL to share your bundles with your friends. Happy bundling!!!!! Gmail is one of the most trusted mail services online. No wonder it is a product from Google , the unrivaled internet guru. I know almost all of you have a Gmail account but those of you who still do not have one then i highly advise you to do so. From my own experience as a long term edublogger, i can definitely confirm that Gmail is indispensable for you as educators. It far excels other mail services in terms of storage capacity, privacy settings, and security. AOL and Yahoo also offer good mailing services but they do not live up to Gmail ones. I am not trying to do a pub for Google or any other kind of commercial promotion for i am not a Google employee and nothing relates me to Google except being a faithful user of almost all its product. Today i am going to share with you some tips about how to better use Gmail. There are many features and services that Gmail offers for free yet only few people know about them and use them. Being educators, we do need to be aware of these freebies. They can save you so much time and make your electronic mailing experience way better than you have ever thought. believe me when you read and apply those tips you would just sit back and wonder how on earth i missed all of these things all this time !!!. But it is never too late to discover and there is always somebody to do the painstaking search for the info and in this case it was me who did it for you lol. All of the tips here are taken from Google Apps website and all the title links below will direct you there, i encourage you to subscribe to the RSS feed of this website. It will help you a lot . Today i am introducing to you a set of the best music sharing web tools. All these tools are free and easy to use. They can allow you to listen and share music with your friends through a real time listening. Educators can use these tools to educationally share and study songs with their students as well. Wavelenght is a great web application that allows its users “to play songs, watch videos and chat live”. It does not require any sign up and it is very easy to use. With this tool you can listen to the same song together with online friends and create playlists and edit songs as you like. This app is different than the others in the sense that it allows its users to store music on PC and listen to it on iPhone / iPad. ListeningRoom as its name implies is a web application that allows its users to share music in real time. Tape.tv is a great music channel that features high quality music videos from your favorite artists. It lets its users to search for similar music using criteria such as genbre and artist name. Listen Music is a music site that lets you search, find and listen to music online without having to download any software. It does requie a sign up to create your free account where you can organize songs into playlists. Mugasha is a cool online application that lets its users listen to music sets online.. It displays music songs from DJs alla round the world. FlavorTunes is a little bit different in that it allows its users to send interactive invitation to their guests which provides them options to select their favorite songs for the party. so if you are planning to organize a party then FlavorTunes is your solution. Soundsleeping is a great music website. It offers relaxing and nature sounds that can help in reducing stress levels and make you sleep easily. It also allows its users to mix tracks such as bonfire, creek, bird song, rain, ocean… etc with drums, flute or vibe. Puniz offers over 500 million audio tracks all of which are legal to download. Most of these songs are availabe on youtube and are in the form of a video. You can listen to the song on the website or download it as FLV, MP4 or 3GP which are ideal formats to be used on portable devices. NoteRec is a cool Android mobile app. It allows its users to take notes at meetings. It also enables them to record audio versions of meetings they attend. Before we used to use diaries to jot down notes but when we want to revise these notes it becomes hard to distinguish which notes belong to which meeting. With NoteRec, you can record the audio of your meetings and take notes during the recording using your phone. What are the notes for when there is an audio recording? Good question , the notes act as textual annotations to the recorded audio. Yes you can now listen to the audio and read the text you have written. I think this app is really very important and educators need to consider using it in their work. It lets you trace back meeting notes to their source. check out Free Android Apps to explore other useful apps.